Born: 14 March 1878, Cape Town, South Africa. Died: 25 February 1948, Cape Town, South Africa. Alex L. du Toit, geologist, was the eldest child of Alexander du Toit and his wife Anna Logie. He received his schooling at the Diocesan College, Cape Town, matriculating (with honours) through the University of the Cape of Good Hope (an examining body only) in 1893. Continuing his studies he was awarded the degree Bachelor of Arts (BA) by the same university in 1896. [According to Gevers (1949) and others these studies took place at the South African College, but his name in not listed as either a student or graduate in Ritchie's (1918) history of that institution. Hence he probably continued his studies privately]. After graduating he proceeded to Scotland and obtained a diploma in mining engineering at the Glasgow Technical College in 1899. During his student days there he married Adelaide Walker, with whom he had one son. From 1900 to 1901 he studied geology at the Royal College of Science in London. Returning to Glasgow he was appointed lecturer in geology, mining and surveying at the Technical College, and lecturer in geology at the University of Glasgow. Du Toit returned to South Africa in 1903 and was appointed as a geologist of the Geological Commission of the Cape of Good Hope - the first geological survey in southern Africa. Under the direction of A.W. Rogers* the commission's three geologists (Rogers, Du Toit and E.H.L. Schwarz*) continued the detailed geological mapping of the Cape Colony that had been started in 1895. Du Toit was admirably suited to the task and conducted the field work with great enthusiasm and engergy. He had the ability to make rapid, detailed and accurate observations, which he recorded methodically in numerous notebooks, and produced detailed and accurate maps. Using a donkey-drawn tent-wagon as his temporary home, in which his wife and son often accompanied him, he covered large areas of roadless terrain on foot or on a bicycle, carrying his mapping equipment on his back. After spending time with him in the field in 1922 Professor R.A. Daly of Harvard University pronounced him to be "the world's greatest field geologist" - high praise indeed. Du Toit's work was described in the Annual reports of the Geological Commission for 1903 to 1911. During this period he surveyed and mapped the following districts: Ceres, Sutherland and Calvinia (with Rogers, 1903); Elliot and Xalanga in Tembuland (1903); Aliwal North, Herschel, Barkly East and part of Wodehouse (1904); Glen Grey and parts of Queenstown and Wodehouse, including the Indwe area (1905); parts of Vryburg and Mafeking (1906, 1908); the eastern portion of Griqualand West (1907); parts of Hopetown, Britstown, Prieska and Hay (1908); parts of Prieska, Hay, Britstown, Carnarvon and Victoria West (with Rogers, 1909); the Kimberlite pipes and fissures at Prieska, Britstown, Victoria West and Carnarvon (1909); parts of Kenhardt, Prieska and Carnarvon (1910); Maclear and parts of Engcobo, Mount Fletcher, Qumbu, and Mount Frere (1910); the copper-nickel deposits of the Insizwa Range in East Griqualand (1910); part of the Transkei (1911); and part of the Stormberg Range (1911). After the formation of the Union of South Africa (1910) the Geological Commission was merged with the Geological Survey of the Transvaal to form the Geological Survey of the Union of South Africa in 1912 and Du Toit was transferred to Pretoria. Continuing his geological mapping he reported on his work in Pondoland (1912); Mount Currey, Umzimkulu (Cape) and Alfred County in Natal (1913); Dundee (1916-1917); the oil shales in Impendhle County, Natal (1916); the phosphates of Saldanha Bay (1917); and the geology of Natal and southern Zululand (1917-1919). During 1914-1915, after the outbreak of World War I, he was seconded to the Defence Force as a water geologist for the South West Africa campaign. In 1920 he left the Geological Survey to become chief geologist in the Department of Irrigation. By this time he had geologically surveyed well over 100 000 square kilometers of terrain. During the next nine years he travelled all over South Africa to locate boreholes and dam sites, and in the process gathered much detailed geological information from drill cores. He also perfected his technique of working and writing while travelling. Relieved of continuous field work he found more time to synthesize the vast amount of observational knowledge that he had accumulated, his publications showing an excellent blending of theory and practice. In 1925 he led an expedition into the Kalahari to investigate the viability of Schwarz's Kalahari irrigation scheme. His Report of the Kalahari reconaissance of 1925 (Department of Irrigation, Pretoria, 1926) showed it to be impractical. In 1927 he resigned to become consulting geologist to De Beers Consolidated Mines, first in Kimberley and later in Johannesburg. His duties there enabled him to travel widely. After his retirement in 1941 he settled in Cape Town. As a result of his extensive geological mapping Du Toit became the recognised authority on the sediments of the Karoo sequence and the distribution and development of the glacial deposits (Dwyka tillite) at their base. His most important papers on these strata were "The zones of the Karroo System and their distribution" (1918) and "The Carboniferous glaciation of South Africa" (1921). 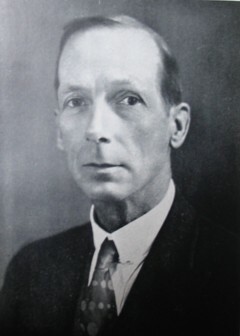 In due course he visited Central and East Africa, Madagascar, Australia (1914), South America (1923) and India (1938) to study their equivalent deposits, which enabled him to collect evidence in support of the theory of continental drift. He also gained detailed knowledge of the Karoo lavas and the younger kimberlite volcanic pipes, and the dolerite intrusions in the Karoo strata. Various papers, particularly "The Karroo dolerites of South Africa: a study in hypabyssal injection" (1920) established his name in vulcanology and intrusion mechanics. While working in the Transkei he made a detailed study of the copper-nickel deposits of the Insizwa Range, which formed the subject of a thesis for which he was awarded the Doctor of Science (DSc) degree by the University of Glasgow in 1910. As part of his work in the Stormberg Range he collected a large number of fossil plants of the Molteno Formation, which were housed in the South African Museum, Cape Town. Later he described the specimens in a memoir on "The fossil flora of the Upper Karroo beds" (1927, 132p), which established his reputation as a palaeobotanist. His work on the basement rocks of the northern Cape and in the Tugela Valley made him an authority on the interpretation of granites, gneisses and the process of metamorphism. He was furthermore the first to describe (in 1920) the coarse-grained, dark granititic rock, known as charnockite, that occurs in the basement rocks near Port Edward - the first account of this rock type from the African continent. While surveying the dry areas of the Northern Cape he developed an interest in locating underground water and became one of South Africa's leading hydrologists. His papers on the subject included "Underground water in south-east Bechuanaland" (1906) and "The geology of underground water supply with special reference to South Africa" (1913). Through his study of the pans of the Northern Cape and the mountainous terrain of Natal and the Eastern Cape he became an authority on geomorphology and physical geography. His first contribution to the study of the ancient drainage systems of South Africa was a paper on "The evolution of the river system in Griqualand West" (1910) in which he tentatively traced the course of a pre-Karoo drainage system. In fact, he played an active part in all branches of South African geology and in many of them became a leading figure. Du Toit was one of South Africa's most distinguished scientists and its most distinguished geologist. He had an international reputation and received many honours. As a Fellow of the Geological Society of London he received its Wollaston Fund (1919) and later its Murchison medal (1933). In 1909 he was elected a Fellow of the Royal Society of South Africa and in 1943 a Fellow of the Royal Society of London. He was a leading figure in the Geological Society of South Africa, serving as president in 1917 and again in 1927, and receiving both its Draper memorial medal (1933) and its Jubilee medal (1945). In 1934 he served as president of the South African Association for the Advancement of Science, having received its South Africa Medal (gold) in 1930. He was also president of the South African Geographical Society and of the South African Archaeological Society (1946/7). The universities of the Witwatersrand (1943), Pretoria (1943), Cape Town (1944), Stellenbosch, South Africa, and the Natal University College all awarded him honorary doctoral degrees. Yet he was a modest person, interested in art, a connoisseur of music and an accomplished oboe player. A few years after the death of his wife in 1920 he married Evelyn Harvey. A collection of his papers is housed in the libraries of the University of Cape Town. Bailey, E.B. Obituary: Dr A.L. du Toit, FRS. Nature, 20 March 1948, Vol. 161, p. 426. Gevers, T.W. Dr Alexander du Toit, FRS. South African Science, May 1948, Vol. 1, pp. 161-164. Gevers, T.W. The life and work of Dr Alex. L. du Toit (Alex. L. du Toit Memorial Lecture No. 1). Transactions of the Geological Society of South Africa, 1949, Annexure to Vol. 52, pp. 1-109. Hall, A.L. A bibliography of South African geology.... Pretoria: Geological Survey, Memoirs No. 18 (1922), 25 (1927), 27 (1931) and 30 (1937). Great scientist. South African Mining and Engineering Journal, 22 October 1949, Vol. 60(2), p. 221. Haughton, S.H. Alexander Logie du Toit. Obituary Notices of Fellows of the Royal Society, 1949, Vol. 6(18), pp. 385-395. In Memoriam: Alexander Logie du Toit, FRS, DSc, FGS. South African Journal of Science, 1947, Vol. 44, p. xxv. National Automated Archival Information Retrieval System (NAAIRS). http://www.national.archives.gov.za/naairs.htm Documents relating to Alexander Logie du Toit / A.L. du Toit. Obituary: Alexander Logie du Toit. Transactions of the Royal Society of South Africa, 1955, Vol. 34, pp. xii-xiii. Obituary: Alexander Logie du Toit, FRS. South African Archaeological Bulletin, 1948, Vol. 3, pp. 14-15. Proceedings of the Geological Society of South Africa, 1915, Vol. 18, p. xiii-xix and 1920, Vol. 23, p. xii-xvi: Past presidents and Lists of members. South African Journal of Science, 1924, Vol. 21, Presidential address, Section B; 1937, Vol. 34, Past presidents. South African Philosophical Society. Transactions, 1905-1907, Vol. 16 and 17. University of the Cape of Good Hope. Calendar, 1893/4, 1903/4, 1912/3.